In a meeting between India's PM, Mr. Manmohan Singh and his Japanese countepart, Mr. Shinzo Abe in Japan the decision on a loan being sanctioned for Japan high speed metro is approved. The Metro route which includes 27 stations is expected to cost around Rs 24,700 crore. 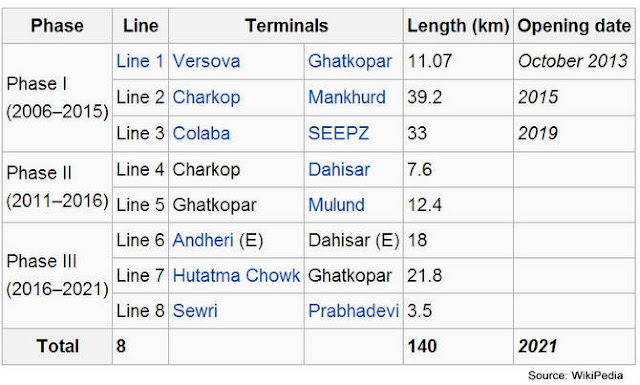 Mumbaikars can now expect the third metro line by 2020, four years after the original deadline of 2016. Apart from this, India is also working towards developing a high-speed rail link between Mumbai – Ahmedabad and Mumbai – Delhi. The priority is the former. With estimated cost of INR 63,000 crores, Indian Railways, French National Railway Company (SNCF) and now Japan, all will help to design this highspeed rail link where trains will travel at 300 kmph, against today’s fastest trains, which travel at 150 kmph. India will also be receiving a loan of ¥17.7 billion for Phase II of campus development at IIT Hyderabad besides for assistance of Indian Institute of Information Technology, Design and Manufacture at Jabalpur.